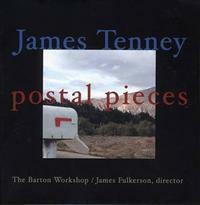 James Tenney (1934-2006) was one of the more important yet obscure composers of the second half of the 20th Century. He studied most notably under Carl Ruggles and Edgard Varèse at places like The Juillard School of Music, Bennington College (B.A. 1958) and the University of Illinois (M.A. 1961) It was at U.I. where he attended what were probably the first courses in electronic music anywhere, instructed by Lejaren Hiller. Right after that, Tenney, along with Max Matthews at Bell Telephone Laboratories, was the first composer to significantly employ the computer as a composition aid and sound generator. He was also co-founder and conductor of the Tone Roads Chamber Ensemble in NYC from 1963 to 1970 and performed in the ensembles of Harry Partch, John Cage, Steve Reich and Philip Glass. Tenney is also the author of numerous books and articles on acoustics, perception and form in music. He taught at The Polytechnic Institute of Brooklyn, California Institute of the Arts, University of California and York University in Toronto. 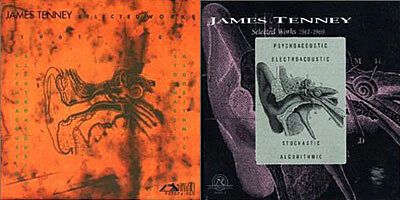 You are currently browsing the archives for the James Tenney category.